The MARINER OMNIPURE® series of Marine Sanitation Devices offer a fresh approach to sewage treatment in the workboat vessel market. With treatment capacities of up to 60 persons (black water) and up to 25 persons (black and gray), the largest unit treats 1,796 gallons (6,800 Liters) of human wastewater per day. 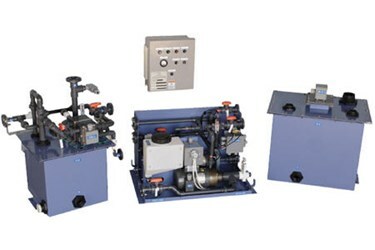 The USCG Certified Type II MARINER OMNIPURE units incorporate the same electrolytic treatment benefits of any other OMNIPURE unit, but with the added advantages of less maintenance and a small, compact size to fit vessels in the workboat vessel market. The MARINER OMNIPURE control logic manages the unit’s treatment process automatically, with minimal operator interface. There are no complicated operator controls. Manual selector switches are all that are needed for operation. Pilot lights are included on the control panel door.